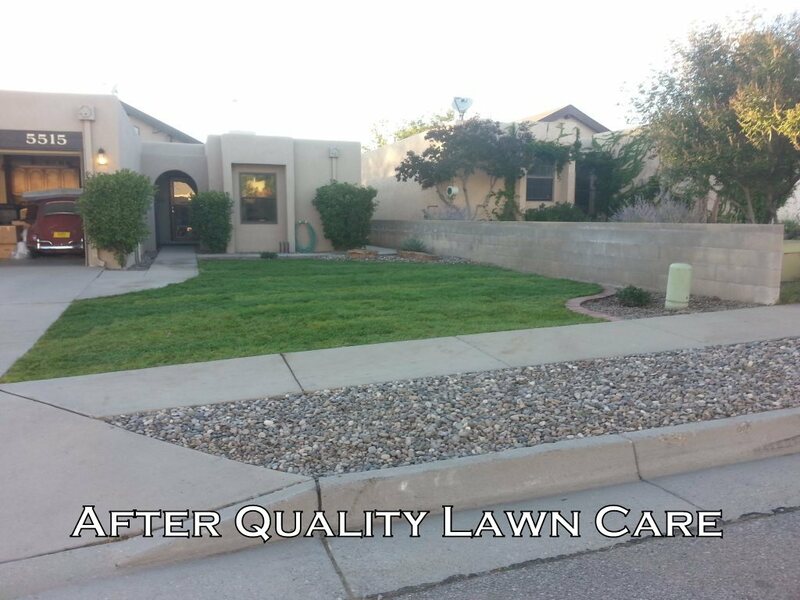 Below are just a few of the many projects that Quality Lawn Care has completed to achieve our goal of making Albuquerque and Rio Rancho beautiful...one yard at a time. The owner wanted to sell this home, but the front yard had no curb appeal. They didn't want to worry about taking care of the turf while it was on the market and needed something that looked clean and appealing. So we designed a simple riverbed with a nice variation of cobblestone and boulders as accents. 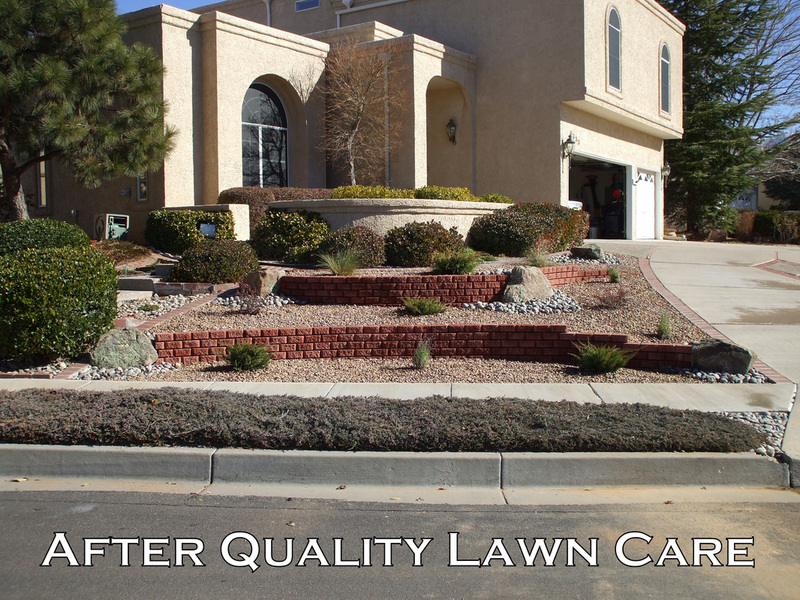 Converting turf on a hillside to a beautiful xeriscape double tier helped reduce water use and runoff while adding curb appeal. 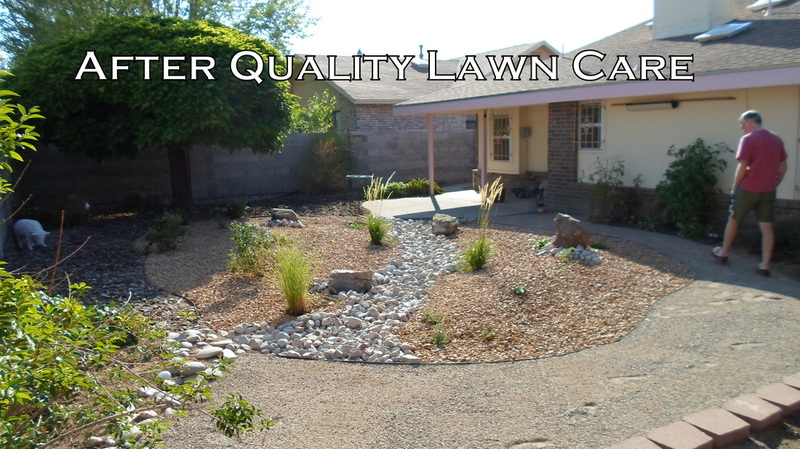 The grasses added a soft touch to the xeriscape and they helped reduce the amount of maintenance this customer had in their front yard. The grass did not do well in this yard. 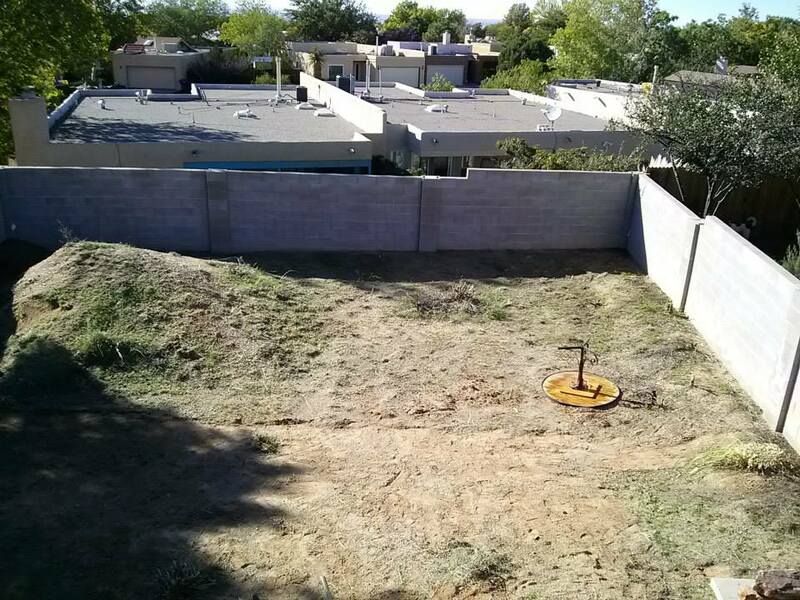 The customer didn't want to worry about mowing and upkeep so he opted to transform his little "grass" plot to a lovely xeriscape design that he could enjoy year round. Cutting down overgrown shrubs and replacing the grass in this landscape gave it a fresh clean look. She no longer worried about unsightly shrubs that overtook the front corner of her house and could now access her back yard more easily. We started by clearing out all the weeds and debris that had accumulated in the back yard for years. Then we worked up a low maintenance xeriscape that had a raised bed around the back of the yard accentuated by keystone pavers and flagstone steps. We added a final touch, a bench seating area with a small fire pit that our customer can enjoy in the cool NM evenings.